@mrskutcher (Demi Moore): This is an overwhelming global problem but together I believe we can end this! @KimKardashian (Kim Kardashian): Stop being noisy! @ladygaga: Never be afraid to dream. 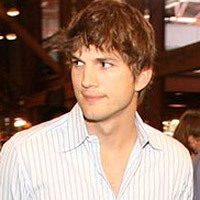 @aplusk: Congratulations Mexico. Well deserved win. @KimKardashian: Turn it on…KEEPING UP WITH THE KARDASHIANS! NOW ON E! Let’s go!